Sport promotes holistic development and life-long learning, and is a platform to develop leadership skills to promote sustainable development (SDG 4.7). 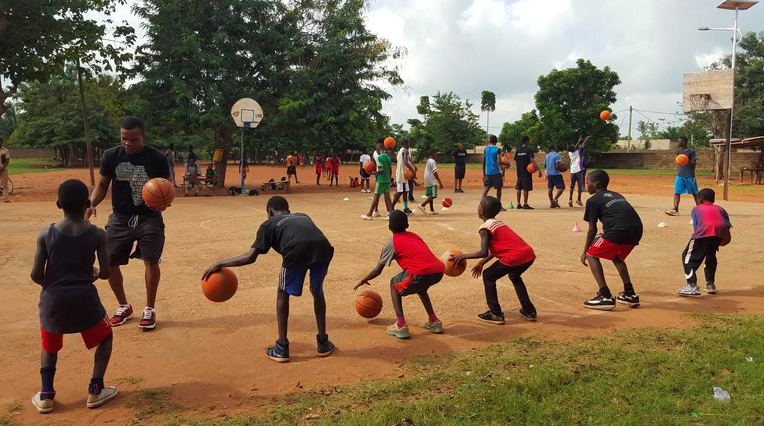 Non-Governmental Organizations (NGOs) are pioneering the use of sport to address educational development goals, providing a pertinent example to the ecosystem of development actors as to just how powerful this tool can be. These NGOs are leveraging sport in a variety of ways, increasing school participation, tackling psychological barriers to increase educational achievement, or even teaching STEM through sport. Three NGOs in particular, Right to Play, RUN, and MLSE LaunchPad, demonstrate diverse and successful development strategies within the education sector. Right to Play in partnership with the French Development Agency (Agence Française de Développement) is using sport as part of their “Playdagogy” methodology as a way to keep Burundian children in school. The “Playdagogy” methodology works as a participatory strategy that “uses sports games to raise children’s awareness of the importance of school, but also to dismantle stereotypes around poverty, gender, or disability”. The “Playdagogy” strategy has impacted over 10,000 Burundian children. It also has grassroots programs in Haiti, India, and Kosovo among other locations. In Hong Kong, the non-profit organization, RUN, has intertwined sport and education to help rehabilitate adult refugees and asylum seekers that have been denied access to education. RUN does this by providing sport opportunities as a means to help participants overcome psychological challenges. In addition, RUN provides online educational programs along with IT and healthcare training courses for participants, believing that educational empowerment will ultimately lead to increased employment opportunities. As a newly created NGO, RUN has seen tremendous success with over 79% of participants reporting “being calm, peaceful and happy after hiking/fitness” and having gained newly acquired skills and knowledge through online education. The recently created Kazan Action Plan (2017) highlights the importance of sport, particularly as it relates to educational initiatives within the 2030 Agenda for Sustainable Development. Furthermore, we’ve seen how NGOs are innovatively leveraging sport to address SDG4. What is lacking, however, is a serious application of sport within the more formal education sector. This gap is likely the result of a shortage of robust research and indicators within the field of sport for development in addressing educational goals. More research and proper monitoring and evaluation of SFD projects is needed in order for sport to play a more serious role at the service of SDG4 and other goals. Additionally, national sport ministries and education ministries would be wise to engage in cross-sectoral coordination in order for sport to be more integrated within formal educational strategies. Nevertheless, the growing momentum around Sport for Development presents exciting opportunities for how sport can be innovatively employed in the advancement of educational development objectives.